Tori Amos (born Myra Ellen Amos on August 22, 1963) is an American pianist and singer-songwriter. 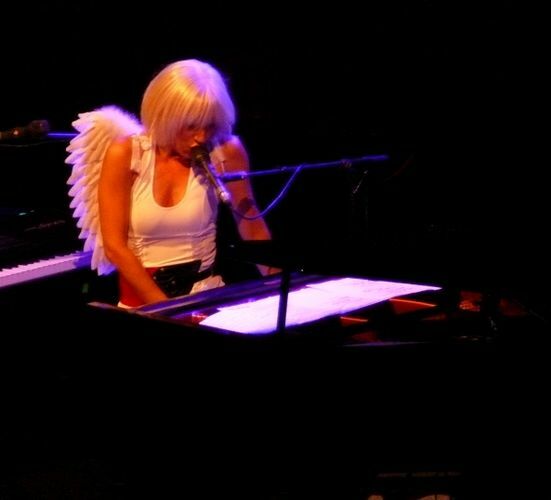 She was at the forefront of a number of female singer-songwriters in the early 1990s and was noteworthy early in her career as one of the few alternative rock performers to use a piano as her primary instrument. She is known for her emotionally intense songs that cover a wide range of subjects including sexuality, religion and personal tragedy. Some of her charting singles include "Crucify", "Silent All These Years", "Cornflake Girl", "Caught a Lite Sneeze", "Professional Widow", "Spark", and "A Sorta Fairytale," her most commercially successful single in the U.S. to date.